We use the service Network for Good to allow our members to contribute securely online. A generous donor has pledged a $7,500 matching donation to help us eliminate our 2018 year-end funding gap of $20,000. Any donation you make will have DOUBLE THE IMPACT thanks to this generous matching donation! Please help us reach this goal and make a donation today! Thank you for considering a contribution to the New York Mills Arts Retreat (our legal name)! Your support makes it possible for us to continue to bring high quality arts experiences to the people of our rural region. 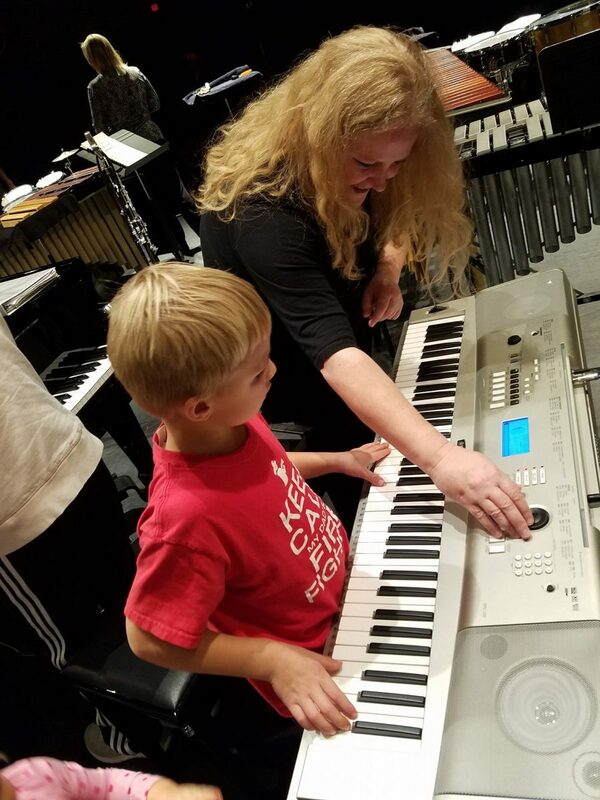 This photo shows a young concert attendee getting an up close & personal experience with a member of Zeitgeist following their Pine Eyes performance (part of our Fall 2017 performing arts series). We are so grateful for all of our donors, members, and the community that surrounds us in New York Mills, our West Central Minnesota region, and beyond. 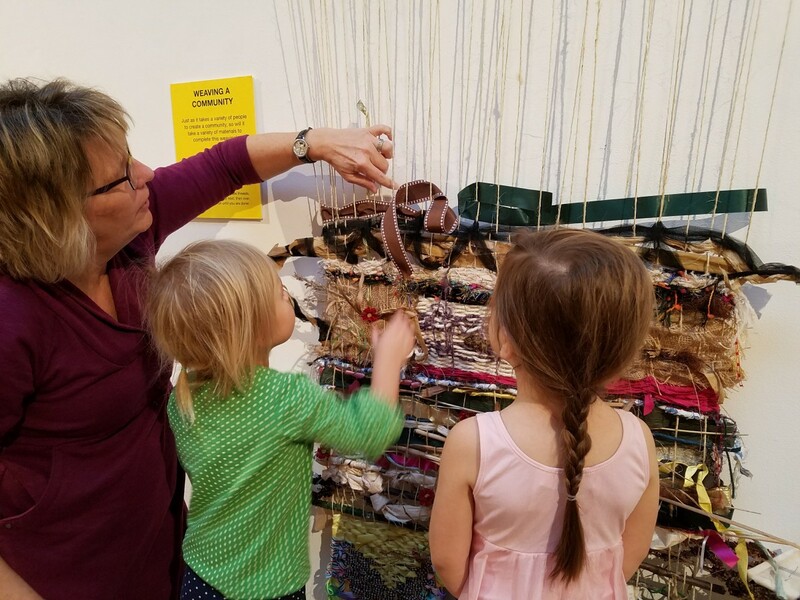 Your contributions help us continue our efforts to “Weave a Community” by bringing people together to experience art, culture, and creativity. This is at the heart of our mission: to be a rural hub for creativity, community vitality, and lifelong learning in the arts. This photo shows staff member Cheryl Bannes helping children take part in our community weaving project before attending dance class in our upstairs studio.